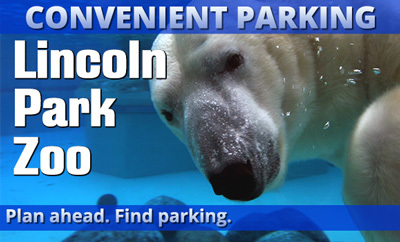 SP+ has convenient parking for the Lincoln Park Zoo. 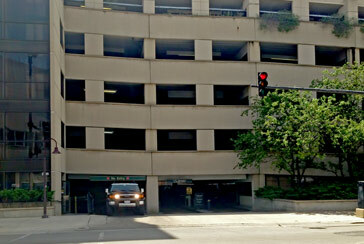 Refer to the map for more information on nearby parking or to reserve a guaranteed space. The Lincoln Park Zoo is a 35-acre zoo located in Chicago's Lincoln Park. The zoo was founded in 1868, and is one of the oldest zoos in North America. The zoo is an accredited member of the Association of Zoos and Aquariums (AZA), and home to a wide variety of animals. The zoo's exhibits include polar bears, penguins, gorillas, reptiles, monkeys, seals, lions, and other animals from some 200 species. The zoo hosts family-friendly events throughout the year, including the annual ZooLights celebration, which features luminous displays and holiday-season activities.